State: Goa, The smallest state in India. On the golden coast of the Konkan across the Arabian Sea Goa is located. The name Goa is derived from the Konkani word. Goa, the smallest state in India of the 30 states, both by area and population. In the area of 3 thousand 702 square miles, there are about 14 lakh people settled in this state. On the one hand, the sea’s silent hand, on the other hand, you will have to spend a few days enjoying the wonderful beauty of the mountain, in this small area. In ancient literature, Goa was known by many names, such as Gomanchala, Gopakapattana, Gopakapattam, Gopakapuri, Govapuri, Govem, and Gomantak. Other historical names for Goa are Sindapur, Sandabur, and Mahassapatam. Goa is the smallest state in India. Goa is the smallest state in India. Goa is located on the western coast of the Indian Peninsula, in the Konkan coastal belt. This state is bounded by Maharastra to the north, Karnataka to the east and south and the Arabian Sea to the western coast. 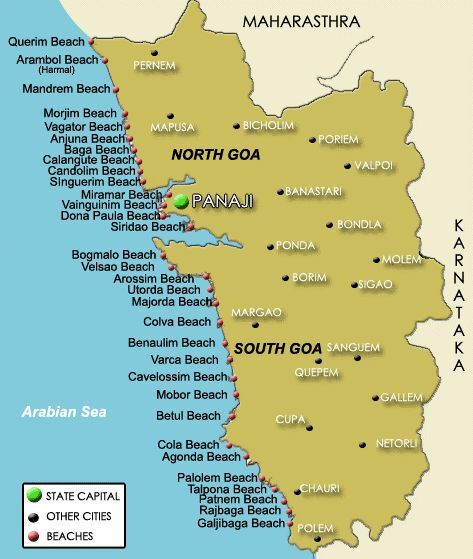 Geographically, its position is between the latitudes 14°53′54″ N and 15°40′00″ N and longitudes 73°40′33″ E and 74°20′13″ E.
The smallest state of India or Goa is a part of the Konkan coastal which is an escarp of Western Ghat mountain range which separates it from the Deccan Plateau. It has 101 km long coastline. The highest point of goa is the Sonsogor with an altitude of 3,829 ft.
Goa is the smallest state in India. According to mythology, Goa was created by Lord Parashurama. He had pushed the ocean to the sea with many arrows from his arrows. Even today there are many places of Goa named Vannavali, Kainasthali, etc. Harmal has a gray colored mountain in northern Goa which is believed to be the place to worship the Parasurama. Historically, Goa was first written in Mahabharata. At that time the name of Goa was ‘Gopurashtor’ which means ‘the country of cow grazing’. The history of Goa is very rich and varied. During the third century BC, Goa was under the rule of the Maurya dynasty and this state was consistently ruled by the next Satavahana, Chalukya, Sriharas and Kadomas empire. During the 14th century, Goa was taken over by the Muslims and then forced to remove the Hindu king Harihar from Vijayanagar empire. In 1469 Adil Shah of Bijapur started the Goa rule. After the next nearly 200 years of rule, in 1510, Muslims were defeated by the Portuguese who came here as businessmen and later dominated the coastal areas. After India gained independence in 1947, the Indian government forced the Portuguese to transfer Goa to India, but they were not ready to do so. In 1954, Goa’s nationalists occupied Dadra and Nagar Haveli from Portuguese colonies, dominated the countryside. The following year, Satyagris entered Goa with a huge army, and in the series oral talks between Portugal and India acknowledged the first defeat. In 1961, Indian Air Force and Navy took control of Goa and took possession of their own, and just one year later, Goa was given the status of a union territory under the Indian government. More 26 years later, Goa acquired the princely state, and finally, in 1987, Goa was officially declared as a state. Goa is the smallest state in India. The climate of Goa is generally subequatorial divided into two seasons – wet and dry. Throughout the year, the temperature is kept at almost the same comfort level, there is no cold time except in the mountain areas. Goa is the smallest state in India. Hot and wet weather may be set in October. The warmest month is May, the average maximum temperature is 33 degrees Celsius. In the monsoon winds, heavy rains start and end in June. With the arrival of the monsoon season, the weather becomes colder, average day – 25 degrees Celsius to 30 degrees Celsius. The dry season lasts from December 15 to the end of February. Day temperature About 31 degrees Celsius and night temperature – A sharp difference was made between about 20 degrees Celsius. Occasionally it may rain. December to April Weather is characterized by sunrise weather hour average number 10. Most shallow weather is from June to June – 4 to 5 hours of sunshine per day. The maximum amount of rainfall is in June, more than 20 days on rainy days each month. The mid-air speed is between 6-7 km / h from September to March. You can swim in Goa in the average year Water temperature – 28-29 ° C.
The seven major rivers of Goa are the Zuari, Mandovi, Terekhol, Chapora, Galgibag, Kumbarjua channel, Talpona, and the Sal. The Zuari and the Mandovi are the most essential streams, interspaced by the Kumbarjua trench, shaping a noteworthy estuarine complex. These waterways are nourished by the Southwest storm downpour and their bowl covers 69% of the state’s topographical area. These are the probably busiest waterways in India. Goa has in excess of 40 estuarine, eight marines, and around 90 riverine islands. The complete traversable length of Goa’s waterways is 253 km (157 mi). Goa has in excess of 300 antiquated water-tanks worked amid the standard of the Kadamba line and more than 100 restorative springs. The Mormugao harbor on the mouth of the River Zuari is a standout amongst the best regular harbors in South Asia. For those who love jungle love and trekking, they will feel like a huge forest and biodiversity of Goa. The National Geographic Magazine compared the biodiversity here in 1999 to the Amazon and the Congo Basin. There are more than 1512 species of plants, more than 275 birds and 60 types of reptiles. We went to Goa and saw many foreign tourists as well as many Indian tourists. Many of them are going to be trekking. Goa is the smallest state in India. The state Goa is the festive capital of India. Festivals, Parties, and other programmes are the main attraction that attracts tourist for all year long. Not only the festival, party and other event attract tourist but also the natural beauty of Goa also attracts people. Many beaches, fort, and the Portuguese heritage also another attraction for tourist. Goa is the smallest state in India. Located 14 kilometers away from North Panaji in the state of Goa, the Candolim beach is a long extension of beach coastline along the Arabian Sea which starts from Aguda Fort and ends at the Panthera beach. It is also famous as Abba Faria’s birthplace, who was a freedom fighter from Goa and father of hypnotism. Goa is the smallest state in India. 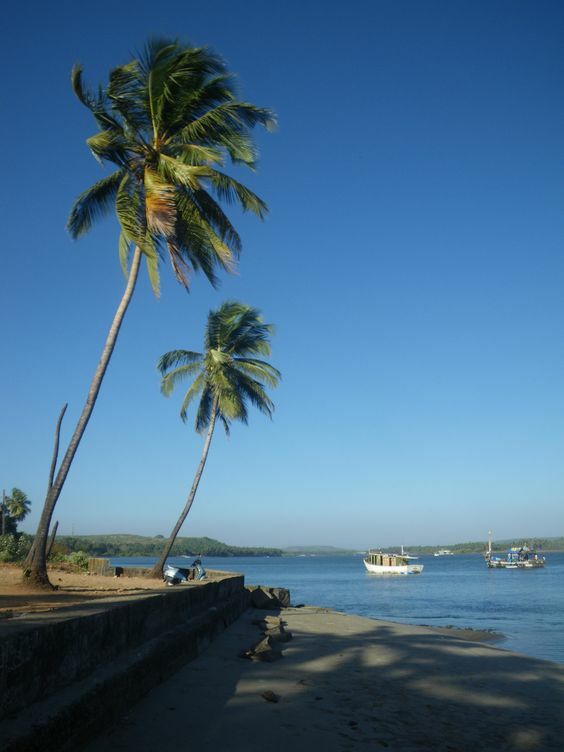 Miramar Beach is located 1 kilometer from the Mandovi River and the confluence of the Arabian Sea. It is located about 3 kilometers from Dona Paula, the capital city of Panaji, Goa. The Goa Miramar beach is also known as ‘Gasper Dias’. The Goa Miramar beach starts from the Gulf region and then ends at Emerald Coast Parkway. It is a golden beach with a row of coconut trees. This beach is a typical place for fine and walks. Moreover, the Portuguese word ‘Miramar’ means ‘sea inspection’. Tourists from the ‘Miramar Beach’ of Goa can see a great glimpse of the Arabian Sea. Goa is the smallest state in India. Majorda Beach is located in the southern part of Bagmola. 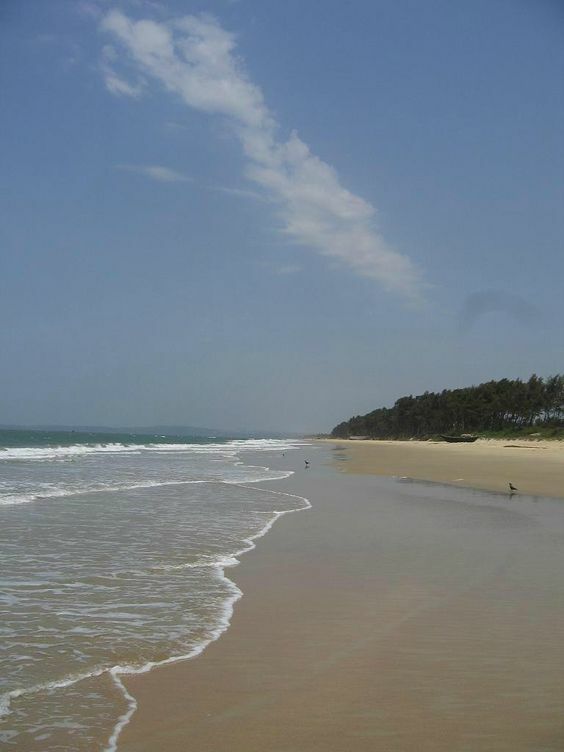 It is a wonderful beach in Goa, located about 18 kilometers away from Dabolim Airport. Goa is well-connected with Margao by a wonderful roadway with Majorda Beach Bus, Auto Rickshaw, and Taxi. It is one of the most popular beaches in Goa. 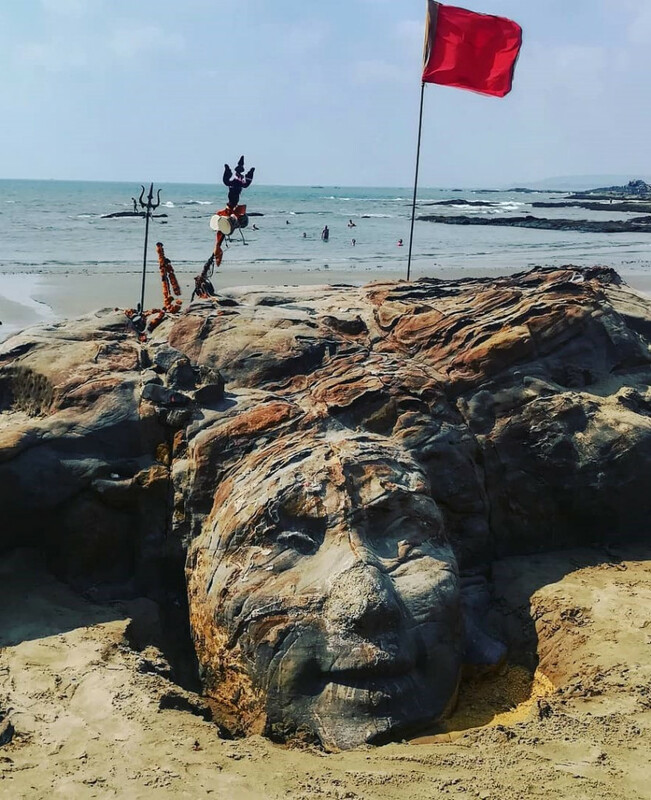 Goa’s Mazora beach has a strong influence on Indian mythology. Based on mythology, it is known that Lord Rama was once kidnapped during childhood and was brought to the Mazoradan beach. It is also said that Lord Rama came to this beach in search of his wife Sita. He is also believed to have visited Kabawo-d-Rama, which is located south of this beach. Goa is the smallest state in India. Mobar Beach is an ideal place for tourists to excel. 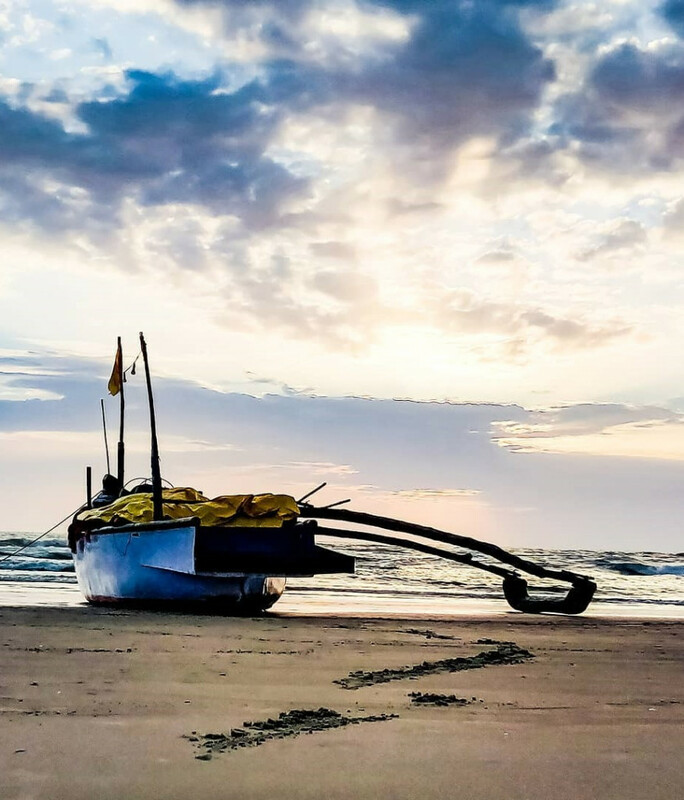 It’s the most popular beach in Goa, which enables tourists to enjoy exciting sports such as water skiing, water surfing, jet ski, banana and bump rides and parasailing. This beach is visited by tourists all year round, but the best time to visit the beach in Goa is between September and March. Goa is the smallest state in India. 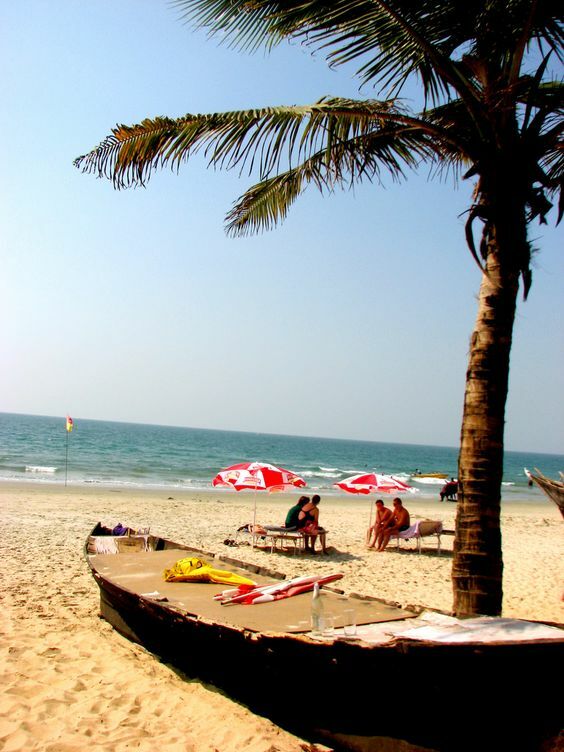 Goa’s Mobar Beach is a very popular tourist destination. Every year hundreds of thousands of tourists come to this beach to love their water curbs. In fact, Colosimo-mohar is famous for water sports. The Colva beach is about 6 kilometers away from Margaon on the west and the oldest, largest and most spectacular sea beach in South Goa. 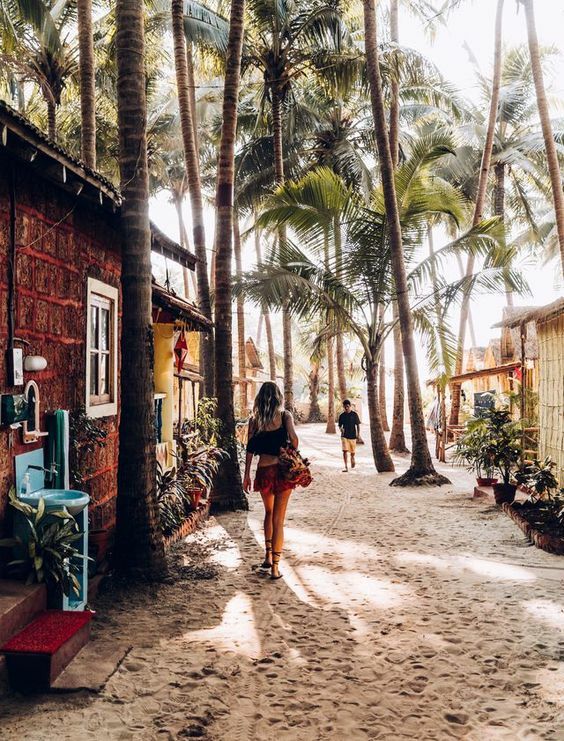 This beach is made up of about 25 km of powdered white sand and is surrounded by coconut trees along the coast, which extends from Bagomola to the south to Cabo-de-Rama and to southern Goa along the coastline. Goa is the smallest state in India. During the colonial rule, it was used as a resting place for the people of Upper Margao who came to visit Colva for vacation. The beautiful houses and villas of this village are still reminded of the luxurious lifestyle of the village. 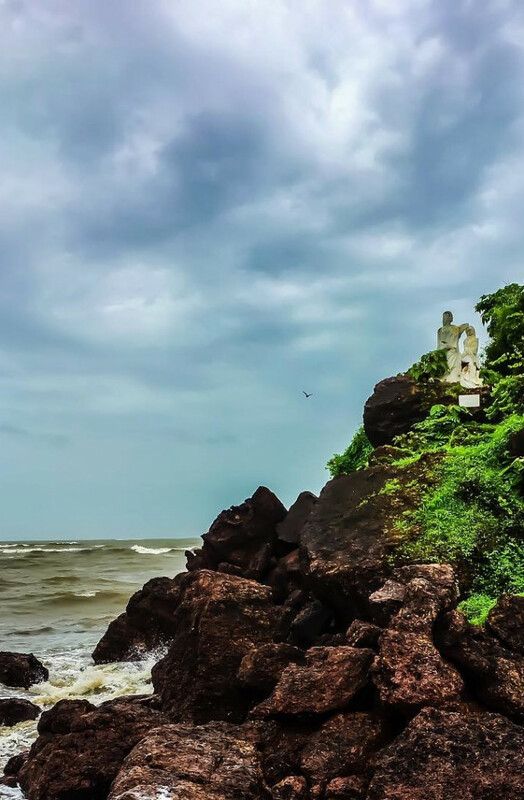 Located in Bardez Taluka, about 18 kilometers away from Panaji, Anjuna Beach is part of coastal coastline with 30 kilometers of coastline including the western coast of the coast of Goa and the Arabian Sea. Goa is the smallest state in India. Anjuna village, located in the Arabian Sea and mountainous beaches with a five square mile area. This beach is famous for its stunning natural beauty with its soft white sand and coconut rows. Varca Beach is a very popular tourist destination in Goa. It is a very nice and beautiful beach in Goa, which is about 2 kilometers away from Benaulim. This beach is well known for fishermen’s wooden boats. Goa Varkala beach is famous for its soft white sand and its cleaning. This is the cleanest beach in Goa that gives tourists a chance to spend some leisure time. Goa is the smallest state in India. Goa’s Sikrim Beach is located 13 kilometers away from Panaji and it is not so beautiful and lonely and calm than other beaches of Goa. Here is an ideal example for the long extended sandy terrain. The soft sand and cool water here will give your feet a tender feeling. Because this beach is quiet and attractive it is an ideal place for swimmers. Tourists chose this for the satisfaction and clarity of the beach. The lovely Sikrim Beach is one of the oldest reserved beaches in Goa. The famous Aguga fort is located here. The Aguda fort was built by the Portuguese in the early 17th century to protect themselves from foreign invasions and to control entry of intruders through the Mandovi River. Goa is the smallest state in India. 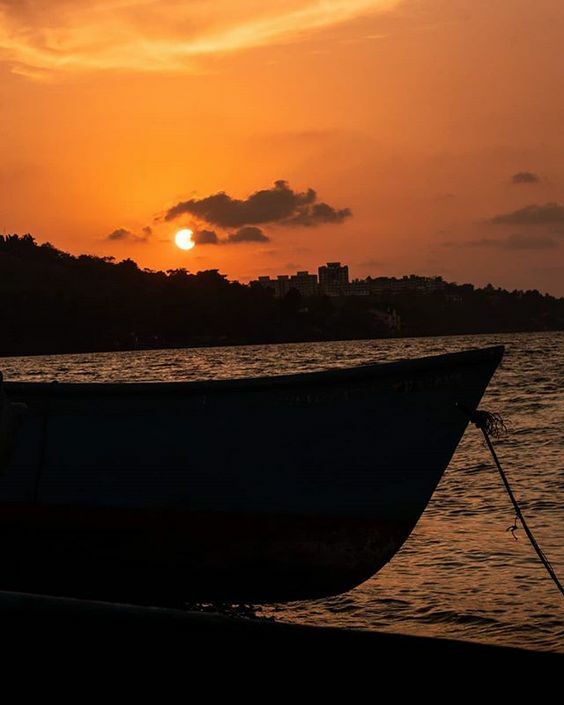 North Goa has located 22 km from Panaji, the capital of the Vagator Beach, near Mapusa Road, which is less crowded and different from other beach beaches. Pure white sand, black lava stone and row made of coconut trees remind the 500-year-old memories of tourists as being close to the 500-year-old Portuguese fortress. The great white sandy beach of Vagator – The big fortune beach, known as ‘Chhala Vagator’, is undoubtedly beautiful and gives a panoramic view of the red wall of the palace. A row of temporary cafés at the southern end of this beach provides shades and food for the Israelites. 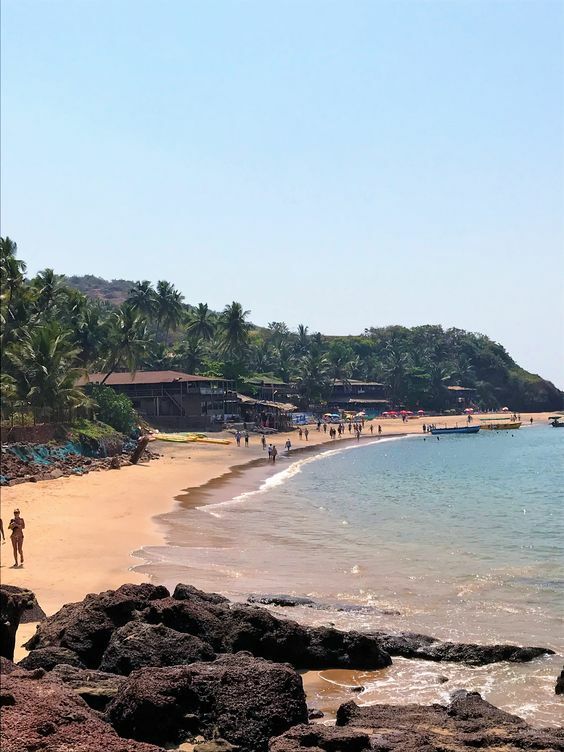 Like Anjuna, a relaxed beach is called, the comparatively backward resorts here call budget travelers. The accommodation here is limited. Goa is the smallest state in India. 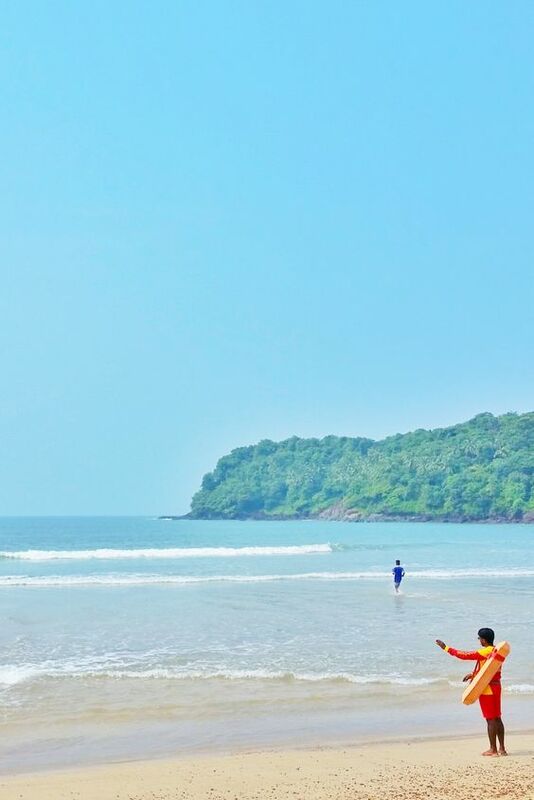 Known as Turtle Beach, Moorzim Beach is located in the northern part of North Goa. This beach is adorned by the sophisticated style, flowers, green environment. The peculiarity of the desert beach is the preservation and maintenance of the Olive Ridley Turtle, which is an endangered species. A visit to this endangered species of tortoises and crab will make your beach travel experience unforgettable. Due to this beach shallow, the kite is a popular activity of this beach. Goa is the smallest state in India. We are all overwhelmed with a beautiful sunset but we can imagine the beauty of the beach at Betalbatim beach. One of the most beautiful beaches of Betalbatim Beach Goa, situated on the south side of the Majorda Beach. 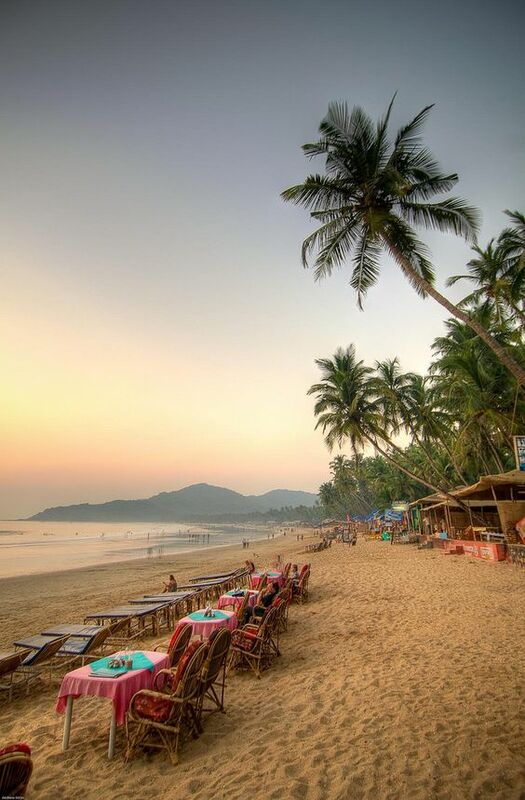 Due to the attractive sunset of this beach, it is known as the ‘sunset beach’ of Goa. 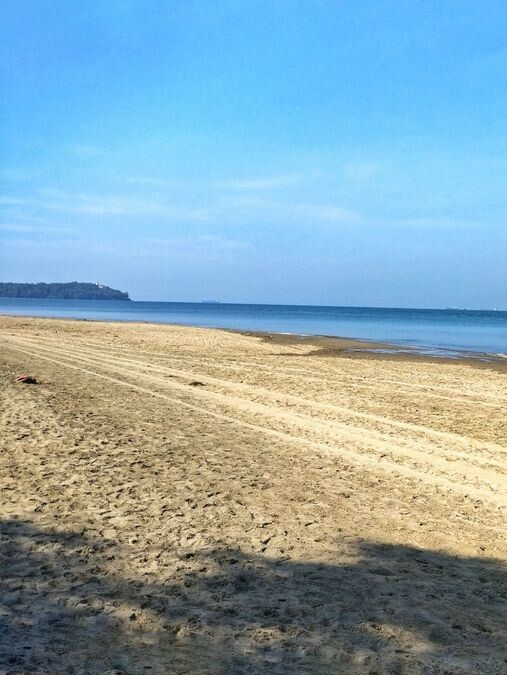 It is not only peaceful than other beaches but it is very clean and well-rounded with it. The calm and lonely places of this beach make it more attractive. Goa is the smallest state in India. A magnificent paradise of scenic beauty, Goa is famous for its hypnotic seas all over the world. Goa offers many of us with shiny sand, sky-colored coconut trees, majestic sea waves, and delightful seafood. Palolem Beach, located 2km west of Chouadi in Kankon district of southern Goa, and also known as ‘Paradise Beach’. 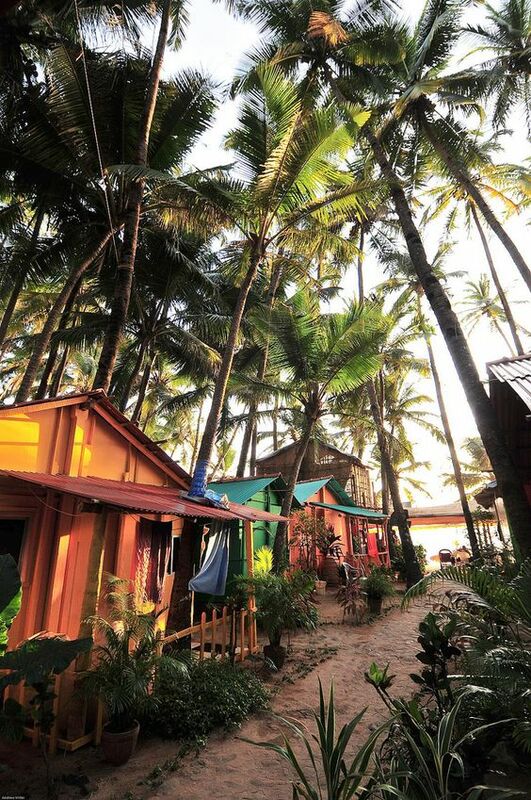 It is one of Goa’s virgin beaches, which was in the eyes of tourists for a few years, but now it is gradually becoming entrepreneurial and advanced since tourists stepped up. It is a bright sunset place in the back of the Western Ghats mountain in southern Talukas of Kankon, and the beautiful sun-lag beach. The perennial Palolem beach gives us a sense of peace which is one of the main features of this clearer sea beach in Goa. Goa is the smallest state in India. 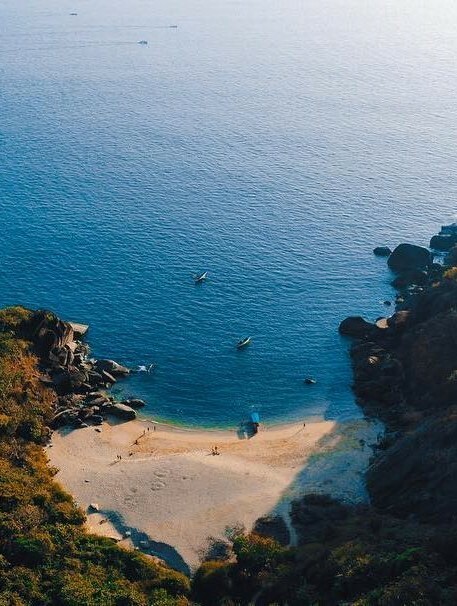 If you have a heart like love, you will definitely go to the beach in Don Paula, standing on the beach, you can feel the real love, unhappy love, trouble. There are publicly loved children in the felicity family with the beautiful daughter’s donor. When Dona realized that he could not find his beloved, he would kill himself with jumping in the sea. Since then, the place is known as Dona Paula. Goa is the smallest state in India. You must go to Dona Paula, 7 km away from Panaji. From Goa, you can also go to the government bus service Kadamba Transport Corporation (KTC) and private buses. 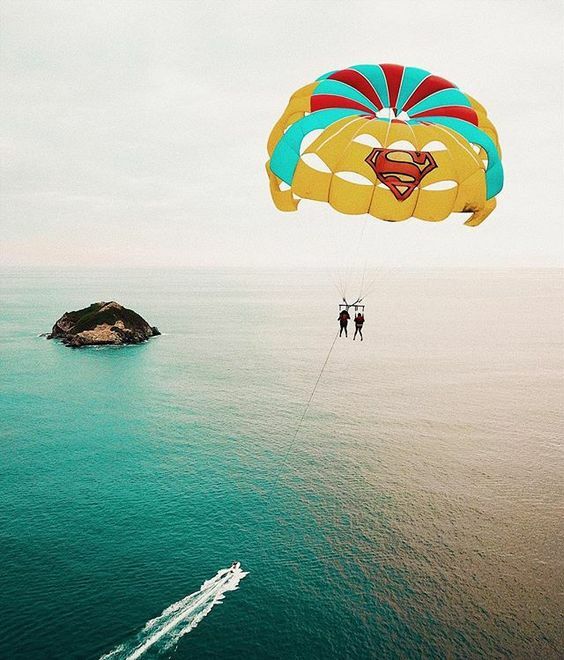 If you wish, you can go to the sky on the Dona Paola beach. Dabolim Airport is located at a distance of 32 km from Dona Paola Beach. 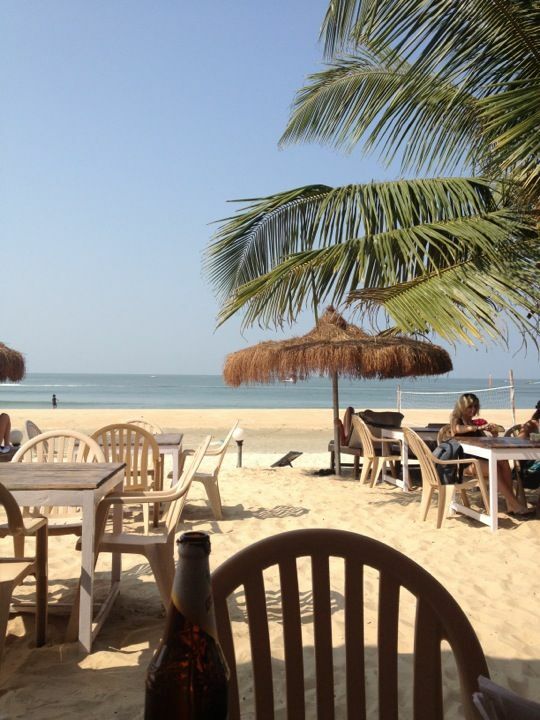 From anywhere to Dabolim Airport, you can go to Dona Paola beach. Dona Paula can also be used on the railway. Vasco-da-Gama railway station near Dona Paula beach, from any place you can go to Dona Paula beach on Visakodagama railway station. It’s a very nice and sweet beach in Goa. When the tree comes to the right season, when the tree blossomed in the tree, the spring breeze becomes like if we live in heaven in the earth. Goa is the smallest state in India. 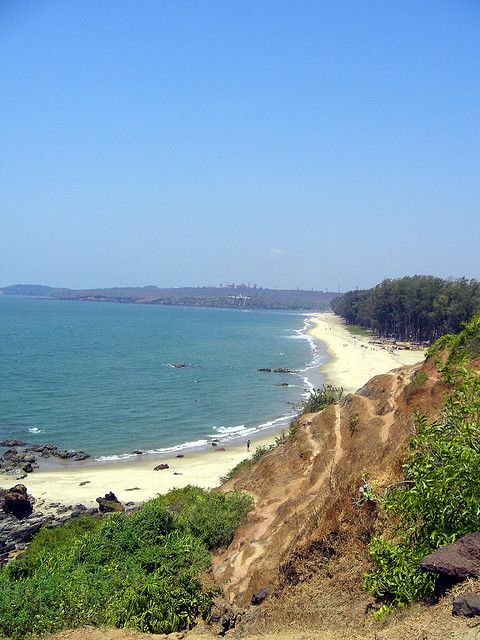 Keri Beach is one of the famous beaches in northern Goa. People on this beach love to bathe. There are lots of coconut trees seen here. The coconut in this place is very good to eat. Hopefully, we can give you some ideas about Goa beach. Goa is the smallest state in India. Arvalem Falls is one of the beautiful waterfalls in Goa. This is a wonderful waterfall in Goa. Water is coming out from the rocky terrain of the mountain, which is 70 meters high. A wonderful water-spring is a wonderful sight. 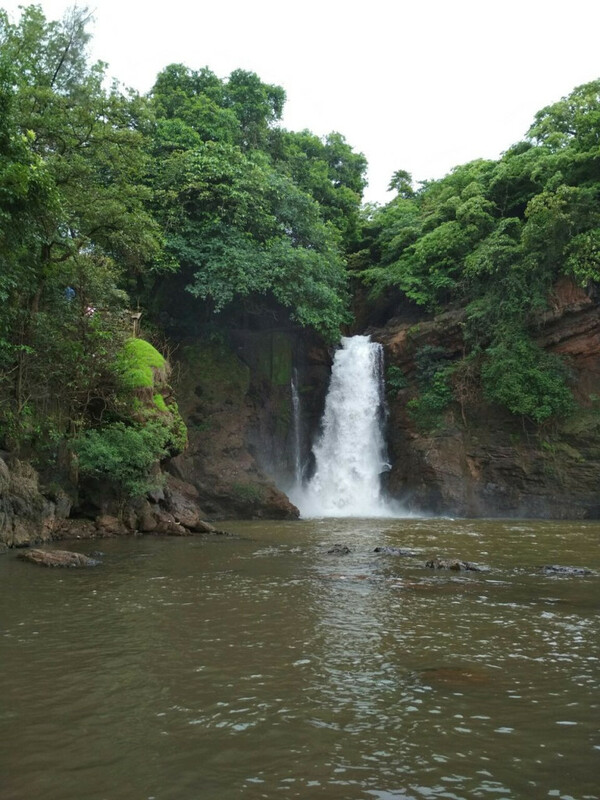 If you want to see Arvalem Falls, it is about 9 kilometers away from Bicholim in North Goa. Water cut from a height of 70 meters is really a wonderful sight. Goa is the smallest state in India. The morning before sunrise, you have to leave at 5, because the line is to be given for the ticket. After cutting the ticket, you will have to cross the long road by jeep, and you will have to walk on foot from here to the top of the stone. Dudhsagar waterfall is really beautiful. The water of white milk is coming down from above and spreading an unlimited joy in everyone. Those who love to swim, do not forget to go to the False water and take the life jacket along with some food and water, as well as get very furious to cross the rocky path to False. However, after seeing the dual sea fruits, all the fatigue of the road is gone. Goa is the smallest state in India. 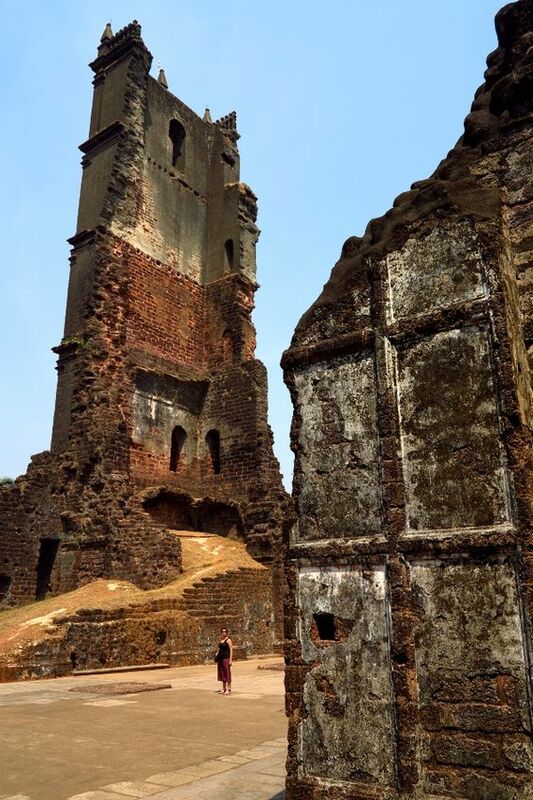 Famous Aguada Fort is one of the famous tourist places of Goa. This is the most well-known section of history. The fort was built in 1612 at the beginning of the 17th century by the Pottagiri. 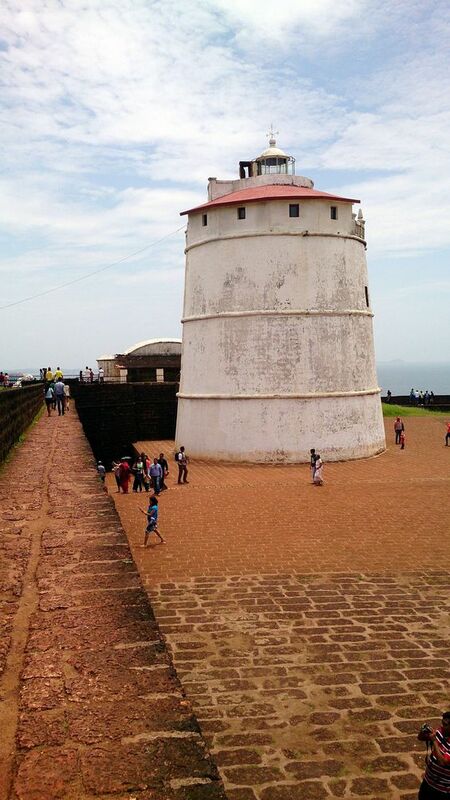 Aguada Fort was used to protect itself from foreign invasion, especially to protect the Maratha and Dutch invaders and to control entry of infiltrators through the Mandovi River. The huge fort is a very important center for the important activities of the Portuguese. Goa is the smallest state in India. The Chapora Fort, also known as Shahpura, was built by Adil Shah, who was Sultan of Bijapur along the river Chapore. 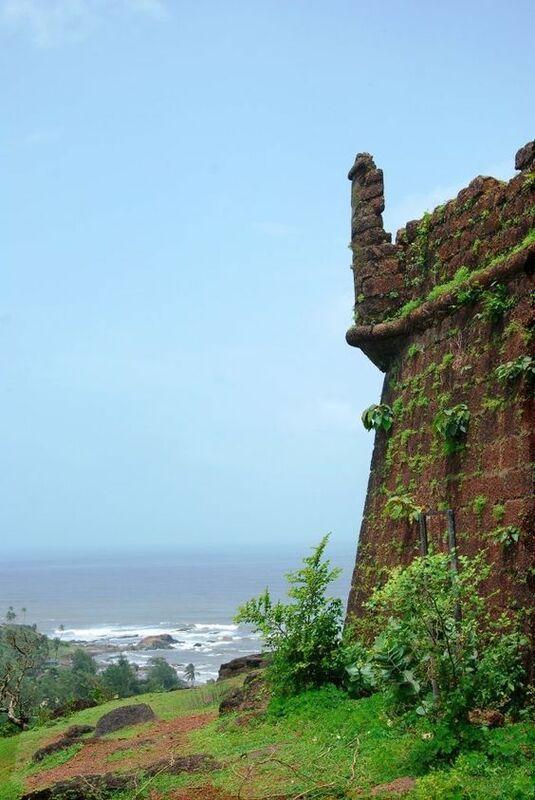 Now, this Chapora Fort is located about 30 km from Panaji and Goa is just 9 km from Mogusa in North district. Goa is the smallest state in India. Goa is an ancient state, apart from the wonderful beaches and waterfalls, Goa is a traditional architectural destination. It gives us an opportunity to learn about mythology, located in the Bicholim town of North Goa, it is a rock-cut ancient cave. The origin of the cave is in the sixties. The beautiful example of historical monuments is the Arvalema cave or “Pandab Guha”. If you want to see the Urval Cave, you have to go to Bicholim town of Northern Goa. Goa is the smallest state in India. 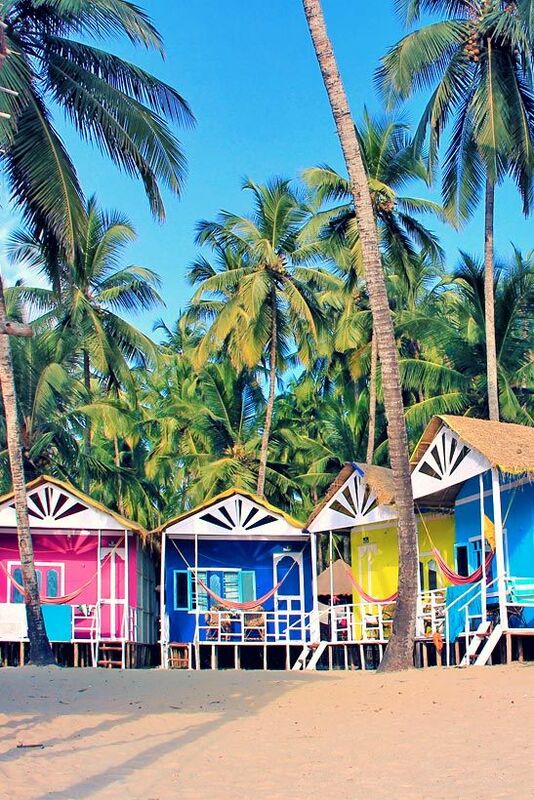 Are you thinking of going to Goa this season? So do not forget to come to the Bondla sanctuary to see from your favorite animals. 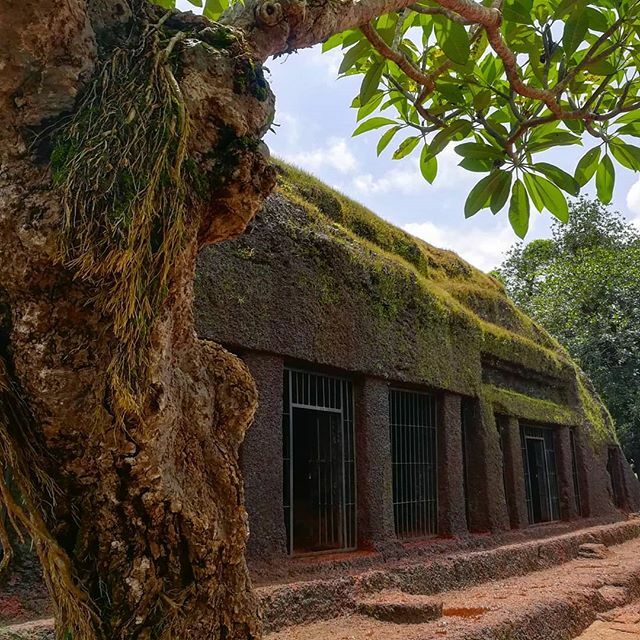 The smallest but most popular sanctuary of Goa, located in Ponda Taluka, in the northeast of the city. Only 8 km in a very small area, the Bondla sanctuary is covered with humid deciduous forests and evergreen plants. The premises of this small sanctuary include a small zoo, a rose garden, deer park, a botanical garden, nature educational center, and an environment-friendly tourist cottage. Goa is the smallest state in India. 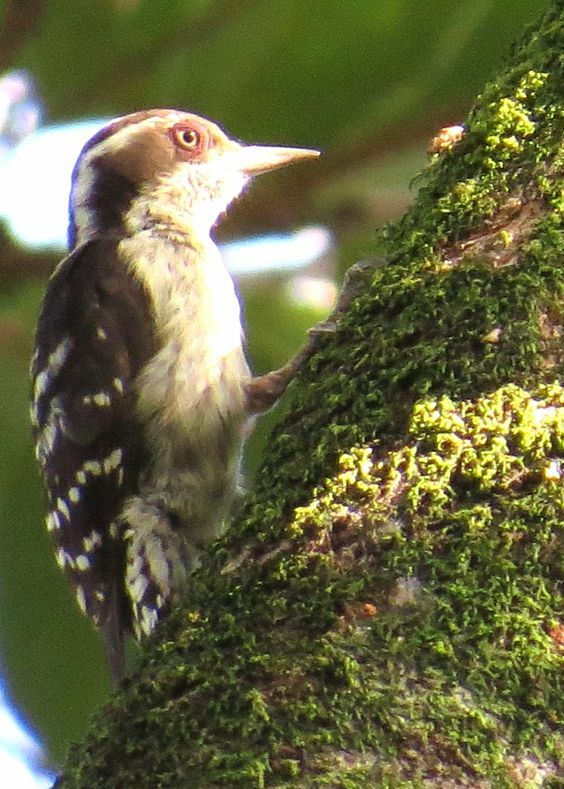 Salim Ali Bird Sanctuary is a marshy location located in North Goa district of Goa state, which is ideal habitat for migrant and local birds. There are many rare species of birds in the Salim Ali Bird Sanctuary. In the Salim Ali Bird Sanctuary, bird lovers can see birds of rare species in this dense forest by coming here from October to March. 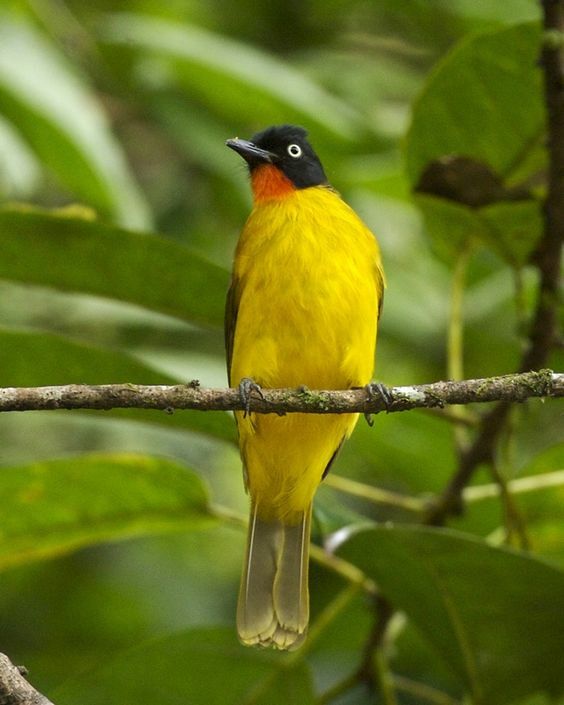 Salim Ali Bird Sanctuary is one of the fascinating tourist destinations of Goa. Therefore, Goa is also called ‘paradise of tourists’. Goa is the smallest state in India. 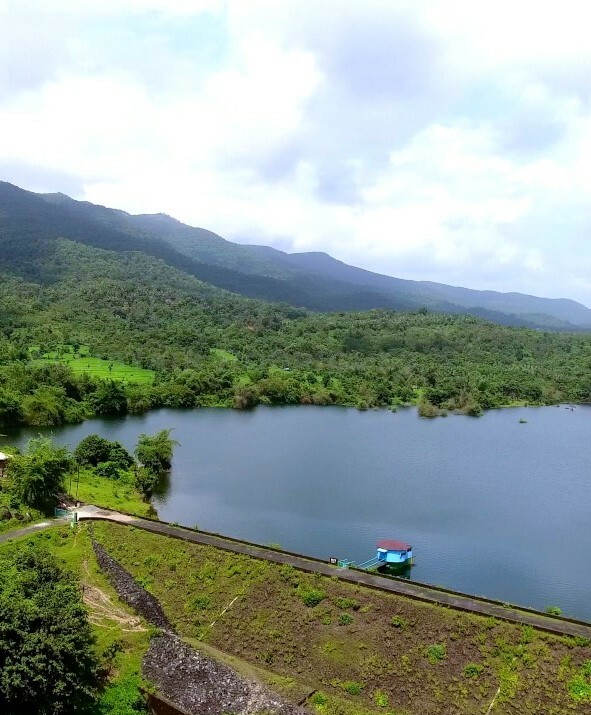 Chapoli Dam is situated in a valley, which is surrounded by Chapoli embankment hills, situated about 40 kilometers away from Margao, it is blessed with a beautiful scenic beauty. If you are fond of fishing, then this eco-friendly tourist destination in Goa is an ideal place for you. Goa is the smallest state in India. Maha Lakshmi Temple situated in the village of Bandra, dedicated to Goddess Mahalaxmi (Goddess of Wealth and Power). The temple has beautiful chalk, which is the main attraction here. This temple, built in 1413 AD, is visited by tourists across the country, especially during the Navaratri, which is celebrated with great splendor and joy. Goa is the smallest state in India. 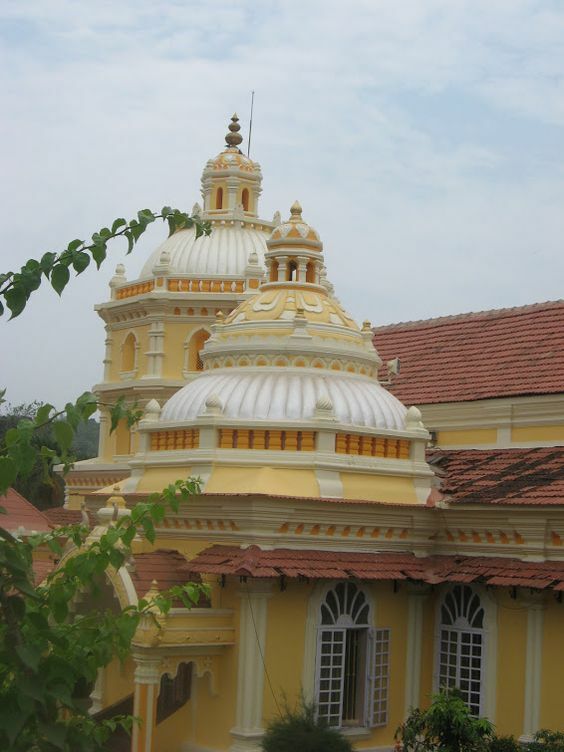 Mangeshi Temple of Goa is a combination of modern and traditional Hindu architecture. This temple is dedicated to Shiva’s Avatar, Lord Mongueishi. Legends say that Lord Brahma himself purified this Shiva Linga, which is worshiped here. The idol of the god is taken out by a procession every week on Monday. Goa is the smallest state in India. 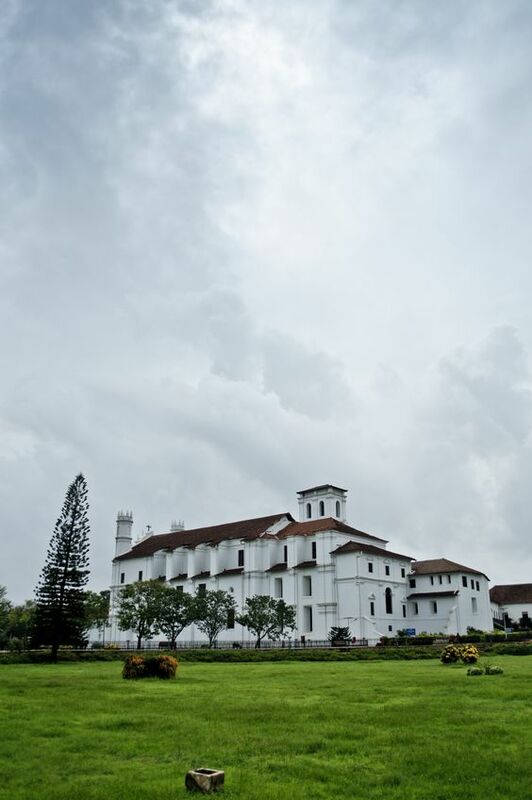 SE Cathedral or SE Catedral de Santa Catarina is the Latin Rite RC Cathedral of Archdiocese of Goa Daman. This Cathedral is a famous landmark built with Portuguese Manueline style. The church is 76 m in length and the frontispiece is around 35m high. This is the largest Church in the continent. The visiting time of SE Cathedral is 7:30 a.m to 6 p.m on other days. On Sunday 7:15 a.m to 10 p.m. Famous Tourist Spot: Goa-Panaji, Vasco-da-Gama, Madgaon, Mapusa, Ponda, Old Goa, Chapora, Vagator, Benaulim, Dudhsagar waterfalls etc. 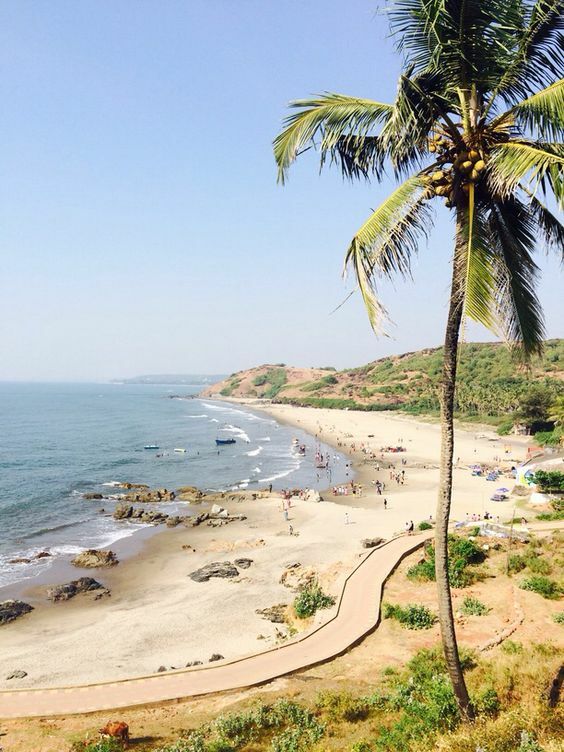 Popular Beaches: Dona Paula, Miramar, Bogmelo, Anjuna, Vegator, Colva, Kellungut, Banga, Palolem, Leo Bole, Anjuna. Religious Places In Goa: Basilica of Bom Jesus (St. Catharines), Cathedral of Saint Cajetan, Sri Dutt Temple, Church of Saint Francis, Mangesh Shree Mahalsa. 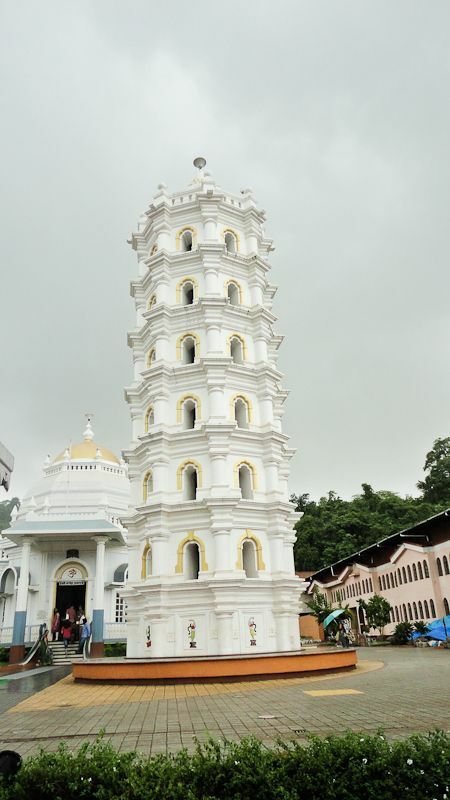 The Sacred Temples Of Goa: Shri Kamakshi, Saptkoteshwar, Shree Shantadurga, Mahalsa Narayani, Bhagwati Mandir of Panem and Mahalaxmi are scenic shrines. 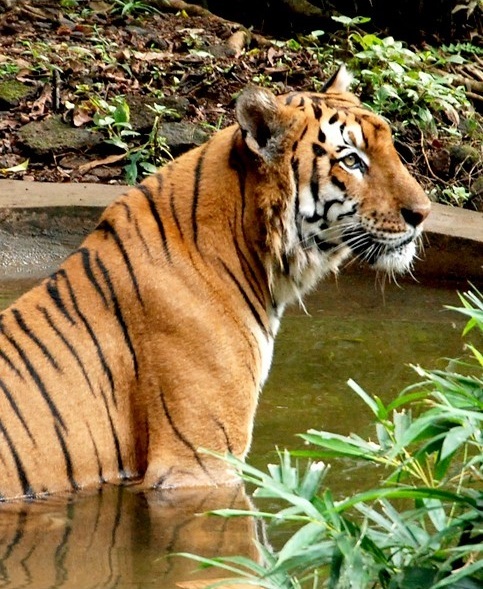 National Park And Wildlife Sanctuary: Mahadev Wildlife Sanctuary, Bengal Tiger, Lord Mahavir Century and Mollam National Park are also famous here, Bondla Sanctuary, Kaval Wildlife Sanctuary, Cotizao Wildlife Sanctuary. 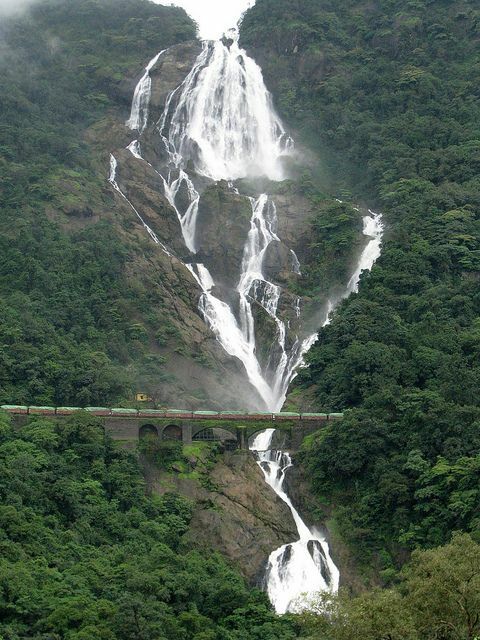 If you want to enjoy tracking, then go to Dudhsagar Falls. During the sunrise and sunset on the Calangute and Baga beach, you can see laughing dolphins through the Dolphin cruise in the ocean. Enjoy dinner and dancing or in the evening the candlelight dinner on-the-middle. Go casinos and watch casino life. Here you get a car and bike rental (rent) in which petrol and diesel will be put on you and you can rent them on a 12 or 24-hour basis. So you are ready to explore the entire city. 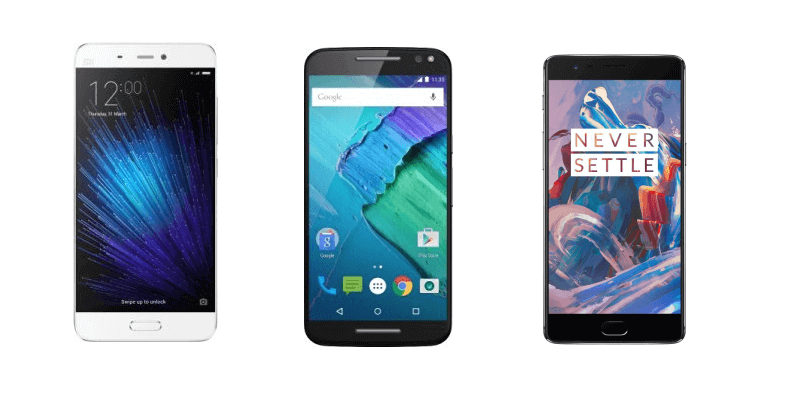 Keep watching on the map from the smartphone and enjoy the long drive. Those who want to enjoy the nightlife can also go to Goa. 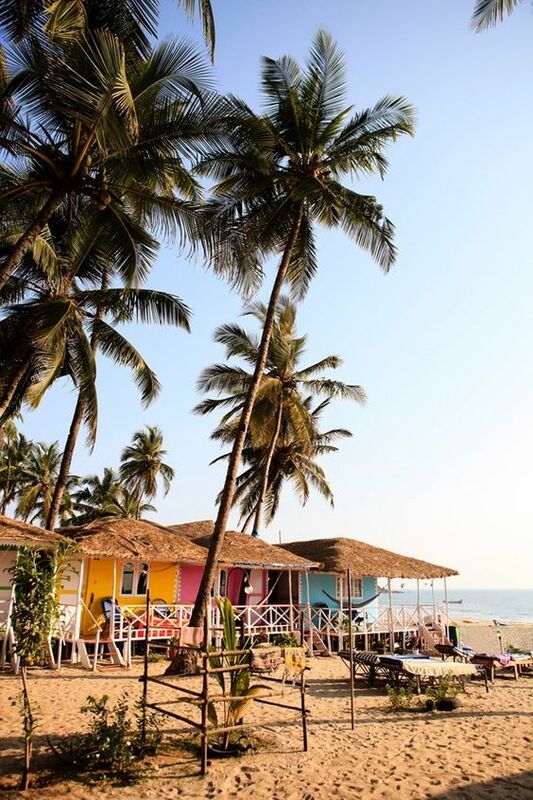 Because for more than four hundred years, the Portuguese rule has created a fusion of Goa’s culture – where there has been an assembly of Eastern and Western cultures. 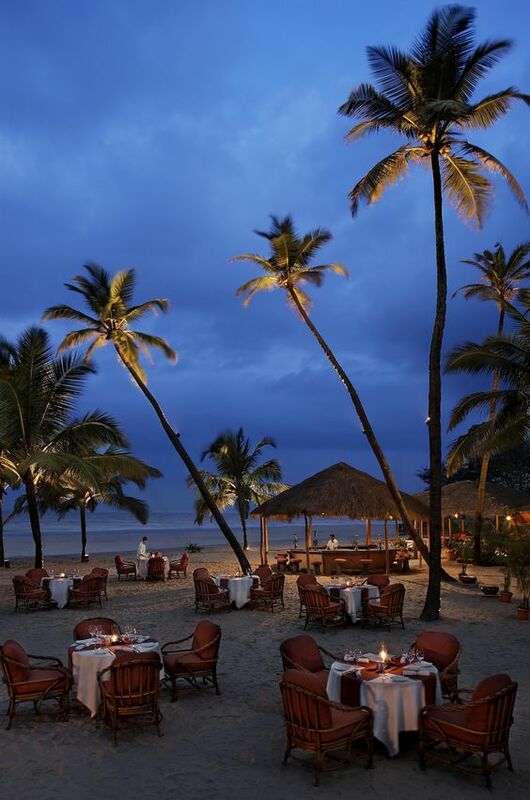 Goa is ranked sixth among the world’s 10 nightlife cities. If you want to play in the water, go to Bagha and Calangute beaches, where there are water ski, jet-ski, paragliding, banana boat rides, water scooter-rides and much more. Goan spice is famous. Variety of spices mix and herb in Goa. It is very fun for those who love to cook. Buying spices can be filled with bags. Goa is diverse, very fun and sour. Even the wayside food. Variety of fish, crabs, octopus, squid, snails, mussels and meat are available in the diet. 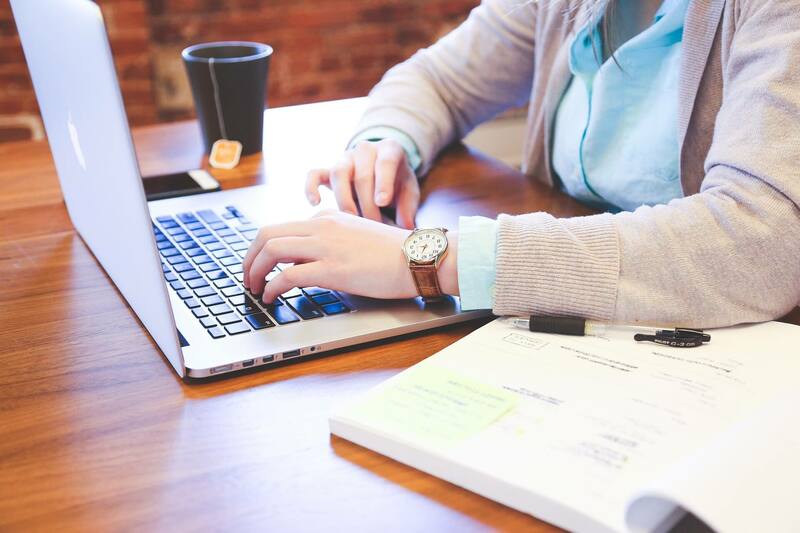 Goa has been a Portuguese domain for more than 450 years, as a result, Goan culture is a fascinating amalgamation of both Eastern and Western styles, with the last having a progressively prevailing job. The scene of Goa exhibits religious agreement by concentrating on the Deepastambha, the Cross and Ghode Modni pursued by a chariot. Western illustrious clothing of rulers is as much piece of Goa’s social legacy as are provincial moves performed delineating a one of a kind mix of various religions and societies of this State. Unmistakable neighborhood celebrations are Christmas, Easter, Carnival, Diwali, Shigmo, Chavoth, Samvatsar Padvo, Dasara and so forth. 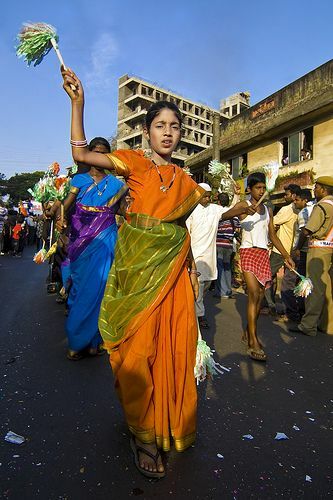 The Goan Carnival and Christmas-new year festivities are not able to draw in an extensive number of voyagers. Goa is the smallest state in India. Conventional Goan fine arts are Dekhnni, Fugdi, Corridinho, Mando, Dulpod, and Fado. Goan Catholics are enamored with parties and Tiatr (Teatro). As a major aspect of its Portuguese history, music is a fundamental piece of Goan homes. It is frequently said that “Goans are brought into the world with music and game”. Western melodic instruments like the piano, guitars, and violins are broadly utilized in many religious and social elements of the Catholics. Goa is the smallest state in India. Goan Hindus are enamored with Natak, Bhajan, and Kirtan. Many well known Indian traditional vocalists hail from Goa, including Mogubai Kurdikar, Kishori Amonkar, Kesarbai Kerkar, Jitendra Abhisheki, and Pandit Prabhakar Karekar. Rice with fish curry is the staple eating routine in Goa. 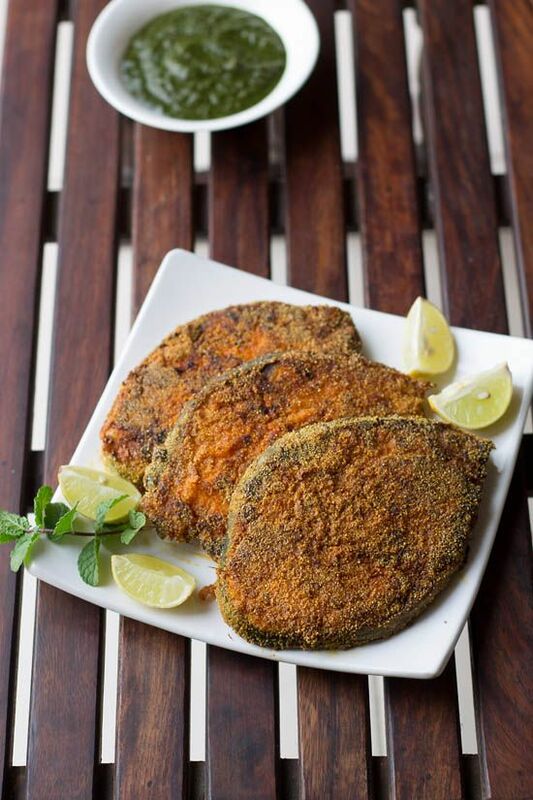 Goan food is celebrated for its rich assortment of fish dishes cooked with expanding formulas. 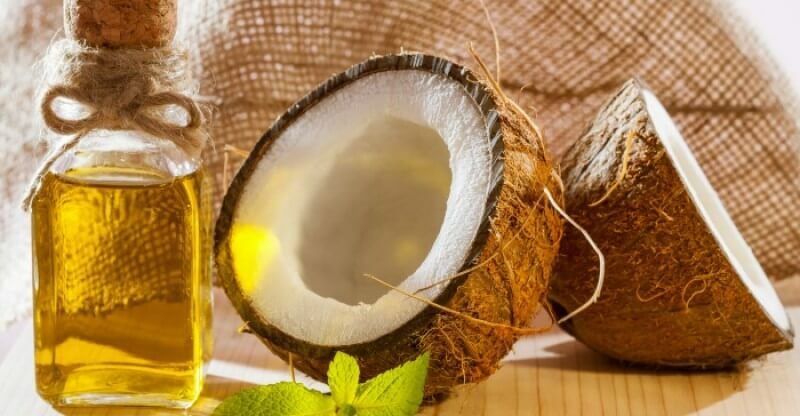 Coconut and coconut oil are broadly utilized in Goan cooking alongside bean stew peppers, flavors, and vinegar is utilized in the Catholic food, giving the sustenance a one of a kind flavor. Goan food is intensely impacted by Portuguese cooking. See below some famous Goan recipes you should try at Goa. Goa is the smallest state in India. 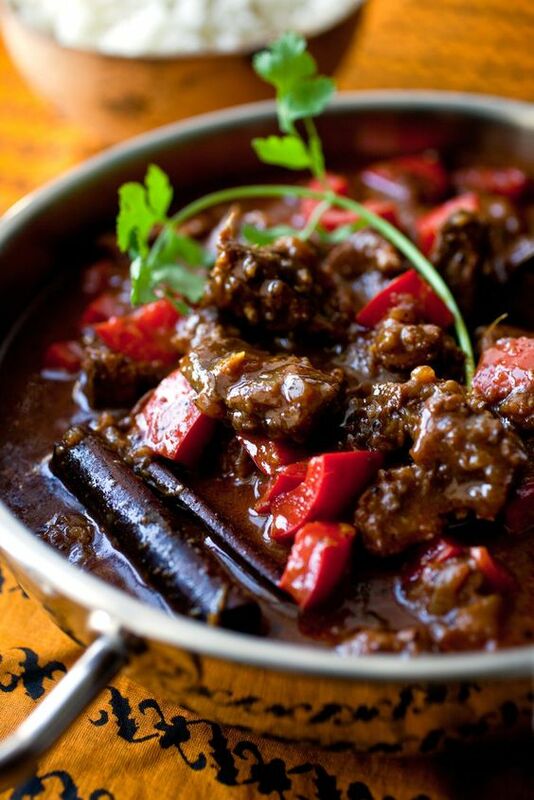 Pork Vindaloo is a Portuguese dish. But, In Goa, it is made in pure Indian style. It is made from pork meat, ginger, and wine. Red pepper and other spices are also used in this. 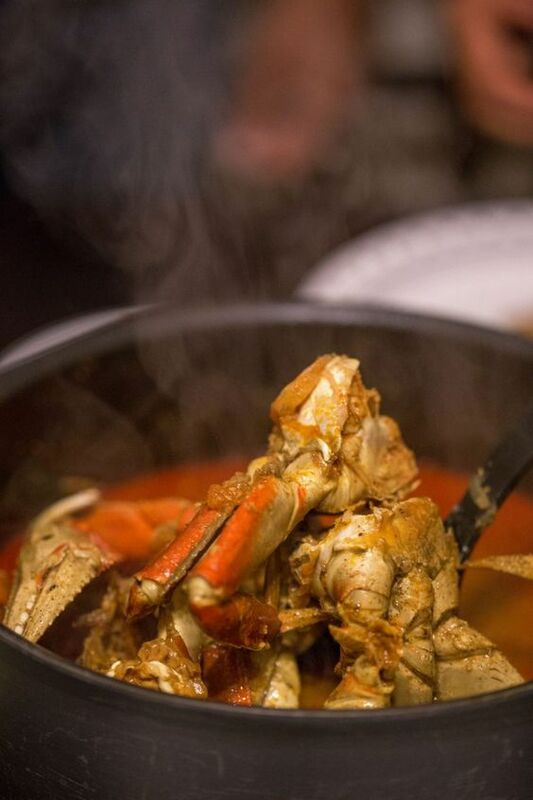 Goan crab curry is prepared with crab meat. In this, coconut and quick spices are added to make the broth slightly thicker. Goan people eat this dish with rice or bread. 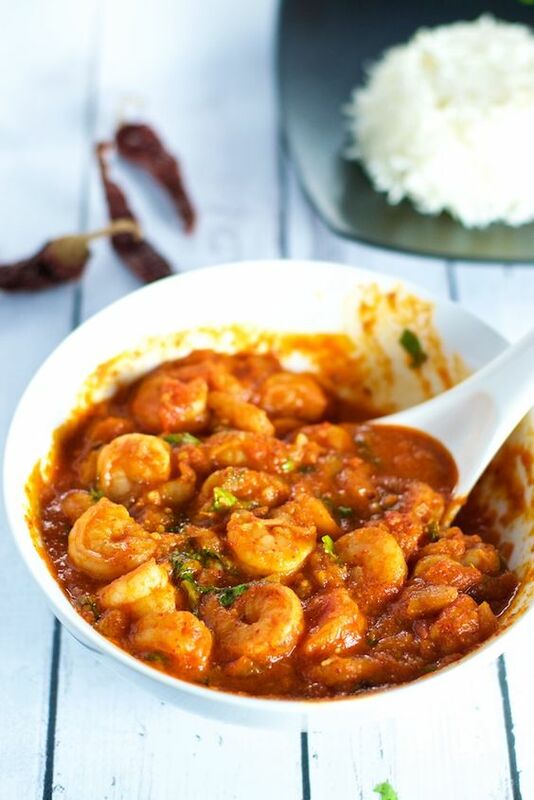 Prawn Balchao is one of the famous dishes of Goa. This tasty dish is very much popular among tourist. This dish is prepared with prawns, roasted onions, coconut vinegar, tomatoes, and chilies are added. 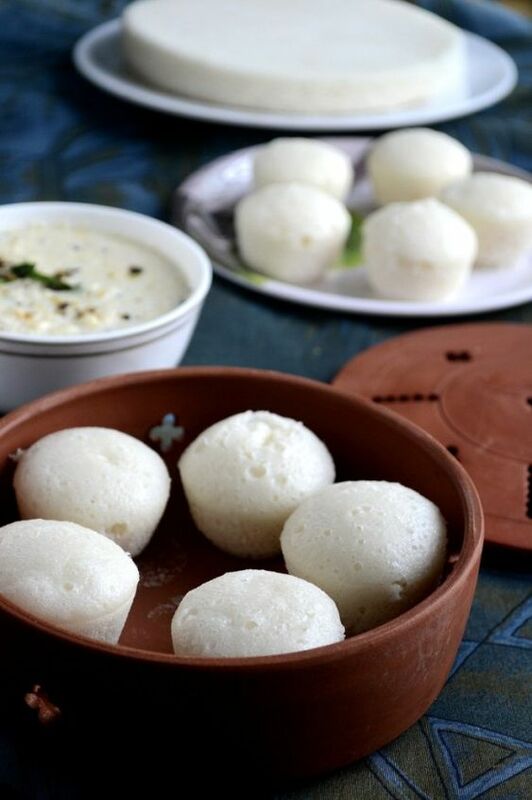 Sannas is a type of rice cake which is one of the specialties of Goa. It is made of steamed rice. There are two types of Sannas. One is salty and another is sweet. Goan people, usually eat salty Sannas with Goan curry. Sweet sannas is made with jaggery or sugar. Choris pao is a one of the tasty dishes of goa. 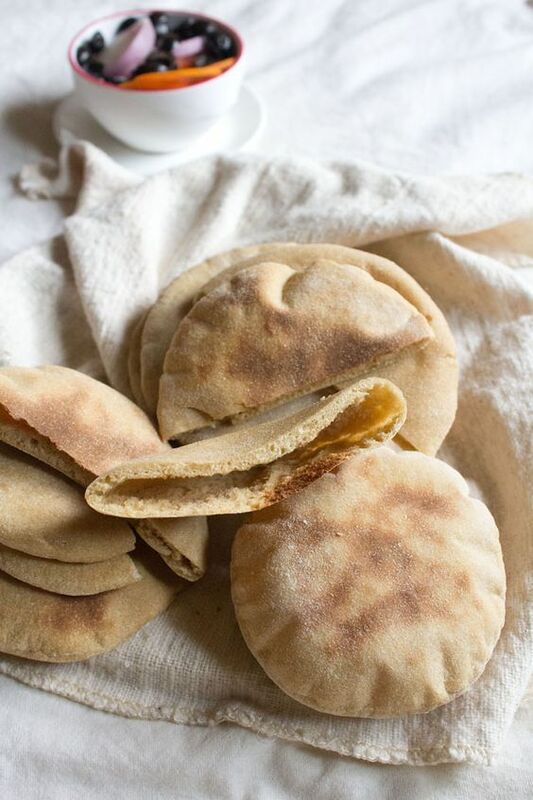 Choris pao is a purely Portuguese bread. 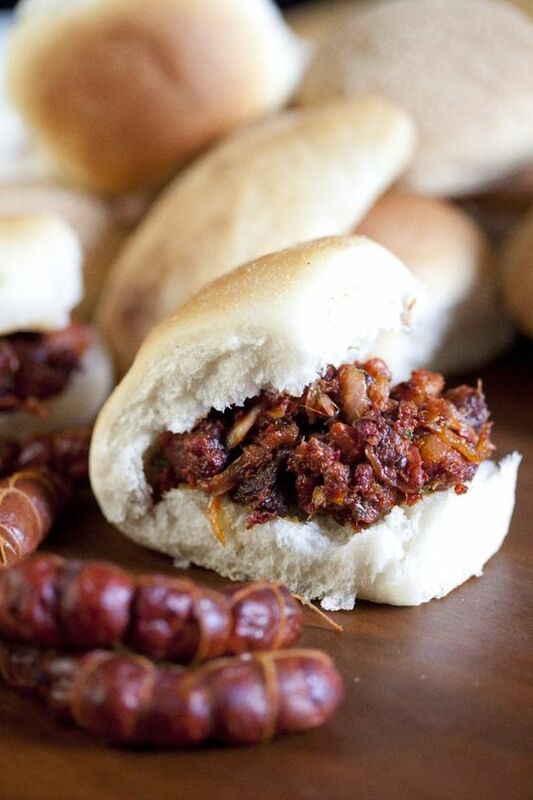 This bread is made from chili-based pork sausage. So, if you go to Goa do not miss this food. Due to the influence of Portugal in Goa, the custom of eating a variety of bread is common. But, the bread which is most famous is Poi. It is in the shape of the bread. Feni is a special drink of Goa. It is prepared with cashew nuts. You can find Cashew feni only in Goa. Most importantly, the Portuguese people used to drink it very much. In India, cashew nuts were first brought with them by the Portuguese itself. a is the smallest state in India. Bebinca is a famous pudding of goa. It is an Indo-Portuguese sweet which is very tasty. 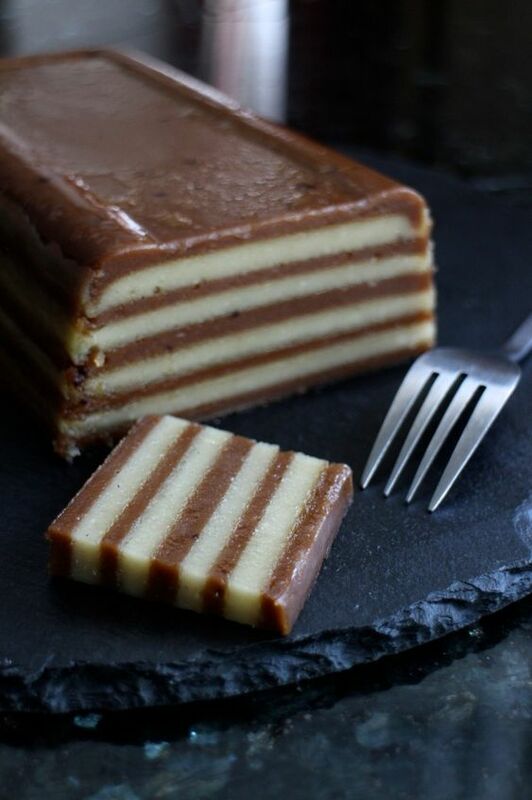 This traditional pudding has seven layers. This traditional sweet is made using plain flour, ghee, sugar, coconut milk, and egg yolk. It takes a lot of time to prepare it. Kokum is one of the fruits of Goa which is very much popular. This is a red color fruit which is very tasty to eat. The taste of kokum juice is sour. Kokum is rich in Vitamin C and anti-oxidant. 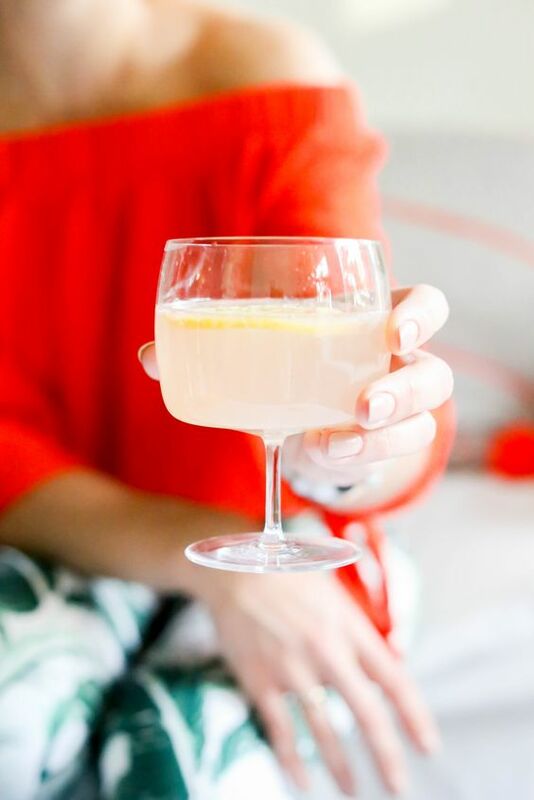 This juice helps to keep the body cool in the heat. Likewise, You can eat this fruit raw or you can drink its juice. 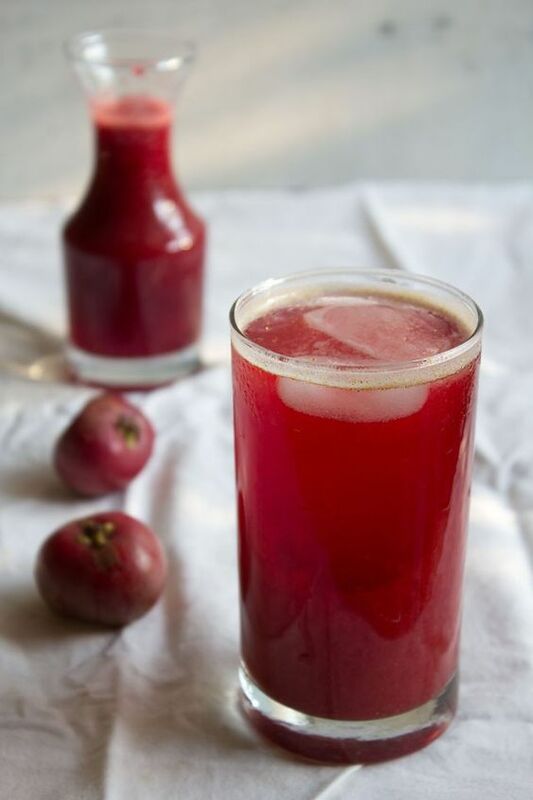 Kokam juice is also used in many dishes to bring a sour taste. So, in short, if you go Goa, do not miss out this fruit. Related Article:- Goa is the smallest state in India.